We are committed to providing excellent service to our customers so they can maintain the highest level of machine up-time. Just because your machine isn't the newest model, doesn't mean you can't get support. We offer support for all current and legacy models produced by KSI Swiss. We offer support for installations, training, programming assistance, spare parts, and assist with maintenance planning. If you're stuck and need some service or support, don't hesitate to reach out to us by phone at 952-564-3290, or by emailing support@ksiswiss.com. If you know the part numbers, please enter them here. 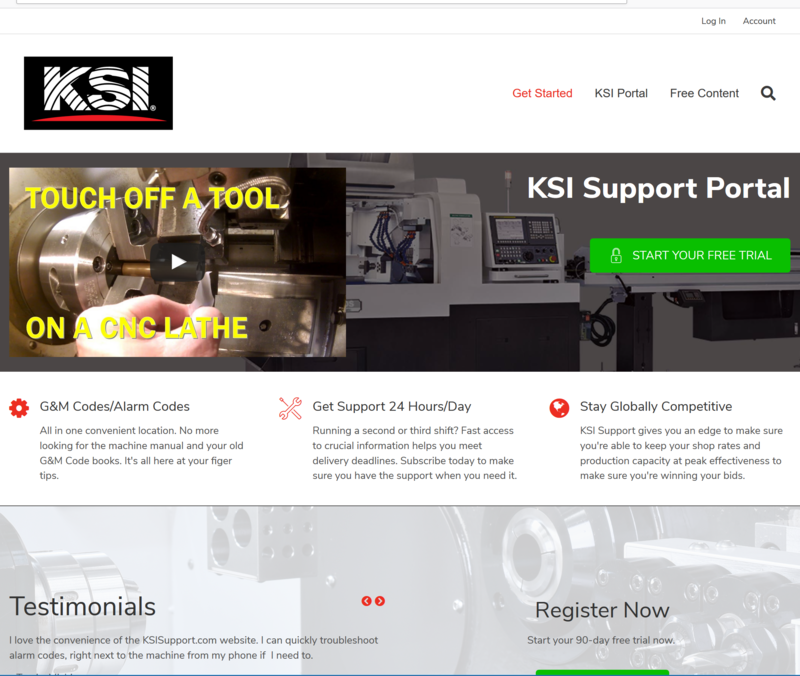 If you'd like 24-hour support through our forum, help desk, with instructional videos, and complete M&G code programming tips, please visit our KSI Support site.